Darina Hotel***, located in Tîrgu Mureș, Transylvania is part of the Darina Hotels&Stores group, a chain of full service, upscale mid-priced hotels catering for all tastes: from business travellers to excursionists or families with children. Our staff is hospitable and warm and always ready to meet your needs. 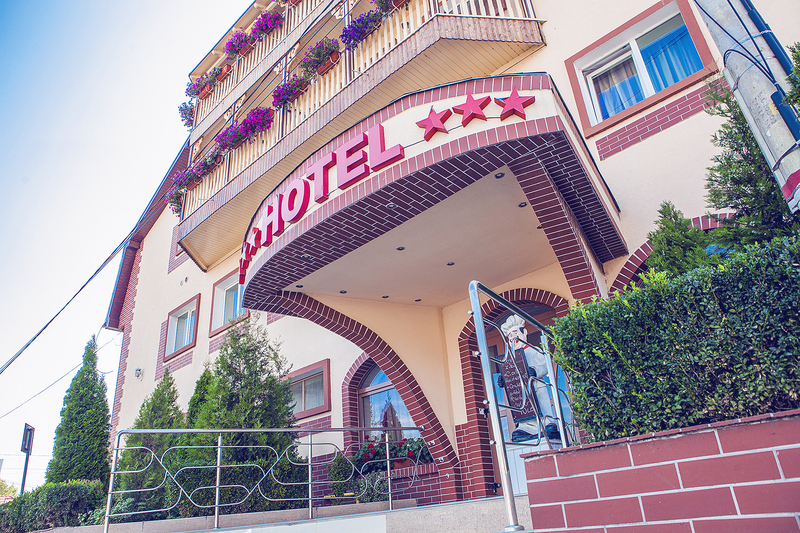 Located in Tîrgu-Mureş, 3 km from the centre, Hotel Darina*** features air-conditioned rooms with a minibar, an on-site restaurant with a bar, and free Wi-Fi in all areas. All rooms come equipped with a TV. Each unit comprises a private bathroom provided with free toiletries, while some also contain a seating area with a table and chairs. International cuisine is served on-site. Additional services of the Darina Hotel include a 24-hour reception. A bus and a train station are 200 metres and 1 km from the property. Tîrgu-Mureş Airport is 8 km away. Weekend Leisure Centre is reachable in 4 km. The zoo and the medieval fortress are at the distance of 7 km and 5 km respectively. The hotel’s restaurant is the perfect location to enjoy local and international cuisine. Free parking with video surveillance is available on site. Darina Hotel*** prides itself with the quality of its restaurant services, its extremely reasonable prices and a good customer service. Darina Hotel and Restaurant in Tîrgu-Mureş is at your disposal 24/7!